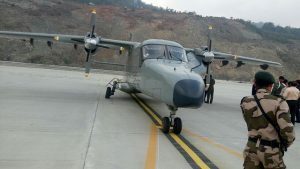 Sikkim will soon be in the national air travel map with commercial operation of flights connecting the Greenfield airport at Pakyong set to commence from the first week of October next. Notably, Spicejet, which has received operating license under the regional connectivity scheme UDAN, has announced its schedule for flights connecting Pakyong with Kolkata and Guwahati. The low cost airline has also received the clearance from the Directorate General of Civil Aviation and would start daily flights from October 4 next, sources informed. The airport would be commissioned ahead or few days after the commencement of regular flights. Sources also confirmed that the recent damage caused to the retaining wall has been repaired and would not hamper the flights operation. According to sources, the SpiceJet flight will leave Kolkata at 9.30 am and arrive in Pakyong at 10.55 am. Till October 15, the flight will take off from Pakyong at 11.15 am and reach Kolkata at 12.45pm. From October 16, the airline will operate an onward flight to Guwahati. The Kolkata-bound flight will leave Pakyong at 2.50 pm, after its return from Guwahati, and reach the Kolkata at 4.20 pm. The 78-seater Bombardier Q400 series aircraft would operate to and from Pakyong, sources added. Bookings for the SpiceJet flight connecting Pakyong was made open on Friday. Being under the Regional Connectivity Scheme UDAN, SpiceJet is offering the flight service at a one-way introductory fare of Rs 2,600. The Pakyong airport has reportedly received the IATA airport code as PYG (Pakyong) as its identifier. 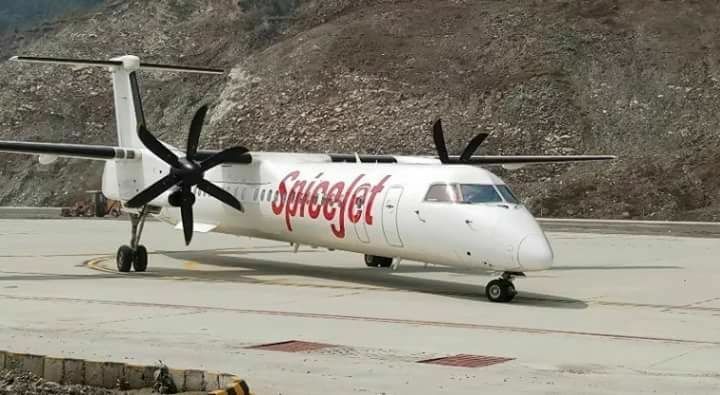 Earlier on March 10 this year, SpiceJet had created Sikkim’s aviation history by landing a 78-seater Bombardier Q400 series aircraft at Pakyong airport as trial landing.